Top o’ the mornin to ye lassies! It’s St. Pat’s but I don’t have anything green to share today – no pinches, please 🙂 Just a couple cards I whipped up yesterday as a little stress relief. This card is for my daughter’s sitter from ages 0-1 who recently announced she is retiring. What an amazing woman. She still checks in on Facebook and has such sweet things to say about my little Aurora. I am so lucky and grateful to have had her to care for my daughter before I was able to stay home with her. For the card layout, I used this Bedtime Story #5 sketch from the March Waltzingmouse Pajama Party, along with WMS stamp set Ocean Bound. This one is for no one in particular, but I was liking the colors and washed-out look of these papers and so just kept cutting. Plus it’s never too early to get started on Christmas prep! 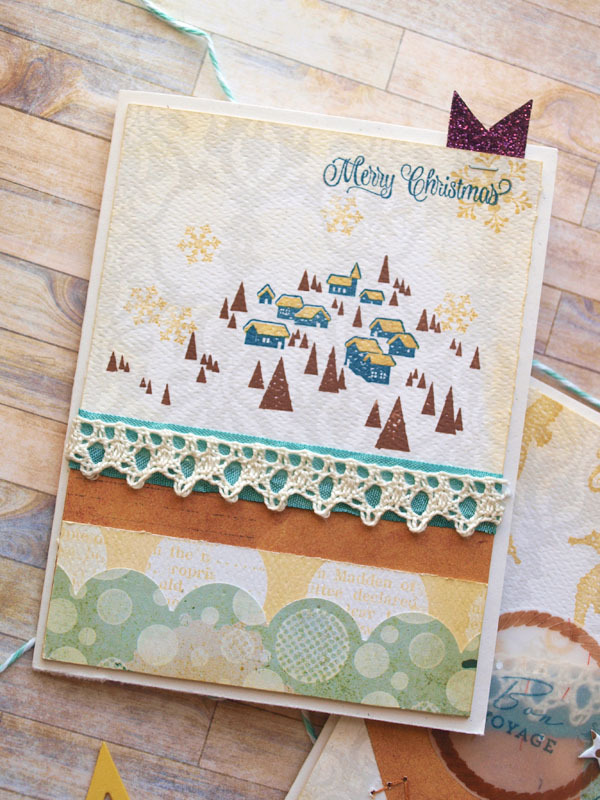 I used this sketch from the Waltzingmouse Fanatics Challenge #13 and WMS set Alpine Christmas. 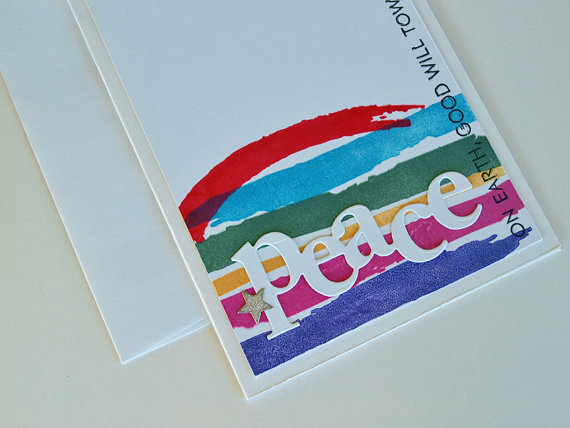 The inks on both cards are the Graphic 45 Decades Inks from Colorbox®. I normally only bring them out for vintage-ing up the edges of things but they stamp pretty nicely as well! 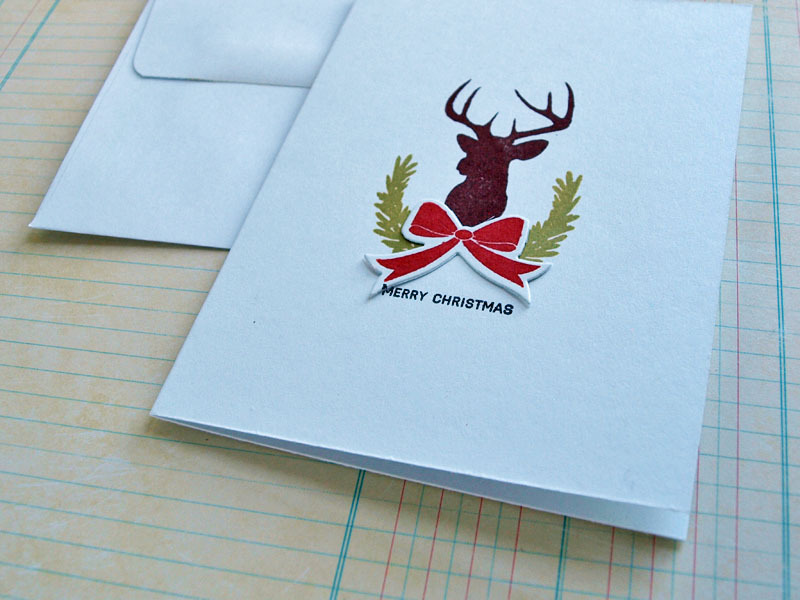 Hello and welcome back to day 10 and 11 of my holiday card series! We have had a few unexpected things come up so I haven’t been able to post on time the last couple days. Sorry about that! 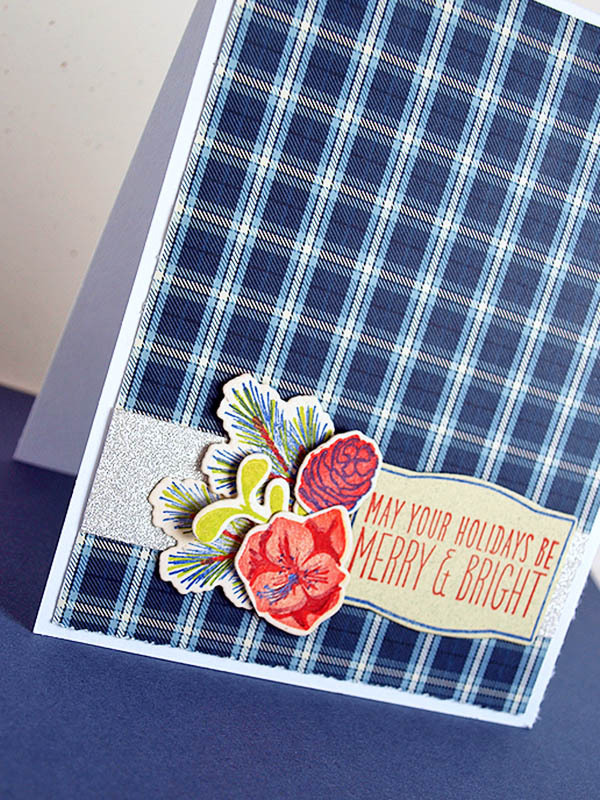 Day 10’s card features a simple trick but one I always forget about – stamping onto dark or colored cardstock. 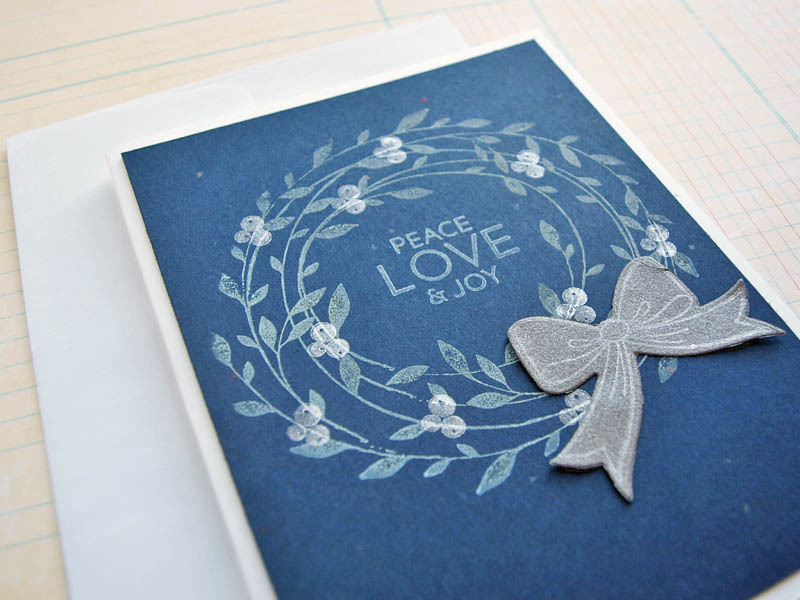 I love the way the white and silver pigment inks *pop* off the blue paper to create a completely different look than the regular ink on white. 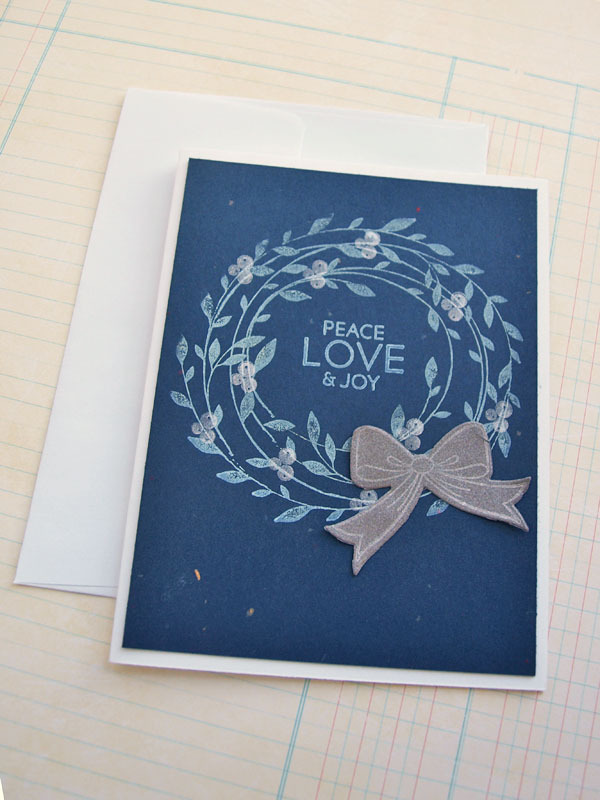 The wreath stamp is from Hero Arts; the berries, bow and sentiment from PTI’s Bells & Boughs. Both older sets. I don’t know why but sometimes it seems like I need to hold onto a stamp set for awhile (in this case a year or two!) before putting it to proper use. It just sits there and is admired on the shelf – what a shame! Does anyone else do that too?! Here’s a set however that was just too good to leave sit – one that saw ink in the very same week it arrived! Wow, I know! This is day 11. I am a sucker for all things nature inspired but especially animal mounts. We see deer all the time here (so often in fact one cracked my radiator just a few weeks back) so it’s not some sort of rare thing, just something that is striking. Because this set of images looks so nice on it’s own, a CAS card seemed in order, with the help of a few Colorbox Premium Dye Inks. Gorgeous, vibrant color every time. And that’s all for today. Will be back tomorrow with one final post! Just a quick post tonight for day 9. And a quick and simple card too. I love that you can use metal dies to emboss (deboss?) on paper. Especially intricate dies like this one, because even though this doily is beautiful, I attempted once and only once to poke out all those tiny little bits. Far too much work! You can see the previous posts in this series above, and find more about the giveaway there too. Hello again! I’m back with day 8’s cards – this time a small set in traditional red and green. 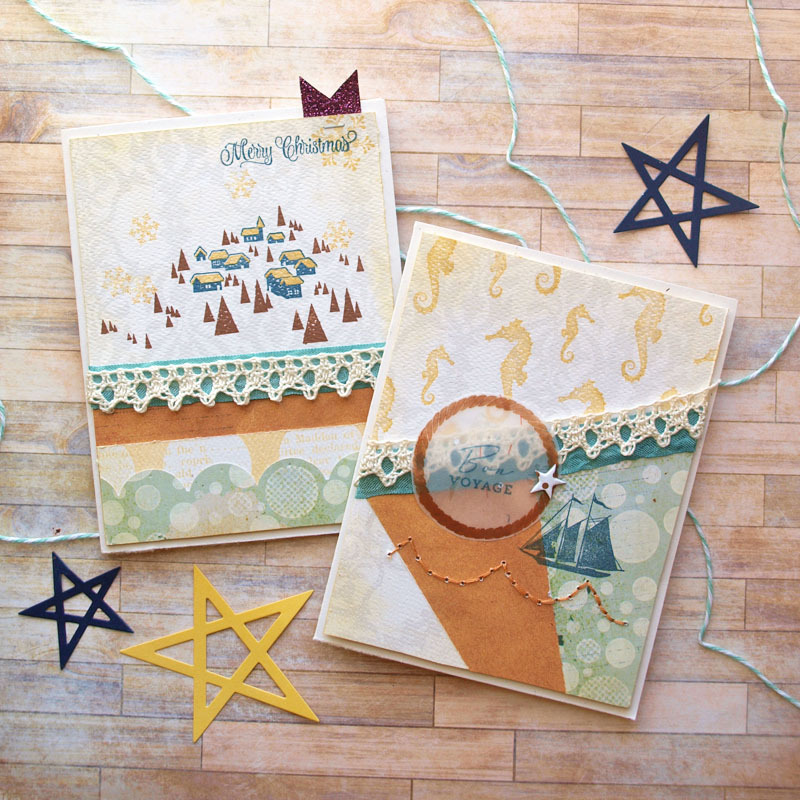 I pulled from a go-to design: the half doily with wrapped twine and glitter star. It’s a design that I use often when creating in a pinch because it looks nice, like some time was put into it, but it’s still super quick to whip out multiples in assembly line style. 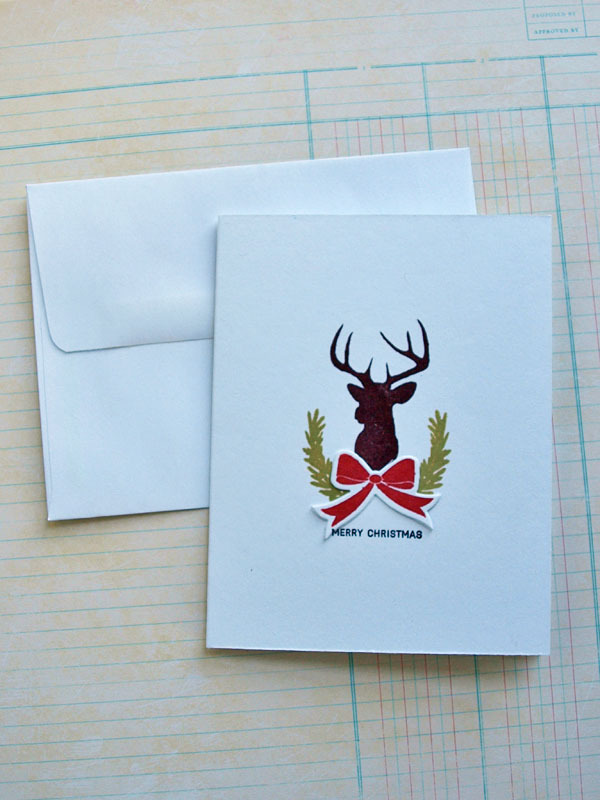 Do you have a go-to card design too? And here’s a blurry close-up. Helpful I’m sure 🙂 It snowed all day long here in central Iowa, still snowing in fact, and that window of good light for taking photos just keeps shrinking! And don’t forget the giveaway! If you are interested leave a comment below and/or on the previous posts in this series, link up a project, like my FB page or anything else you can think of. I’ll leave the linky up through Dec.24th – since we’ll all likely be working up to the last minute – and will choose a winner after Christmas. 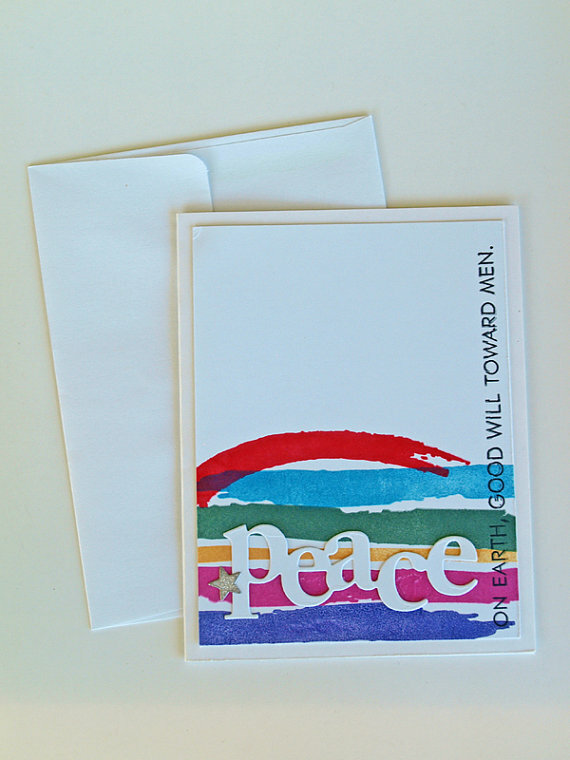 Hello and welcome to days 6 and 7 of the holiday card series! I am posting a couple days late and will have day 8 up later today also – the autofocus mechanism on my camera stopped working on Friday and I wasn’t able to take any photos until today! Apparently you need to clean the lens connections and blow out the inside of the camera to remove dust every once in a while. Lesson learned! Day 6’s card is a simple but feminine version. 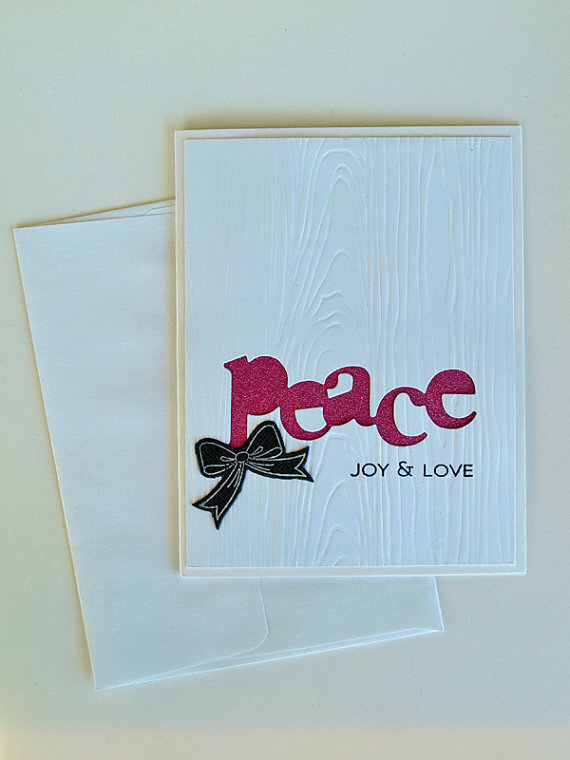 The panel was first die cut, stamped, and then embossed with the woodgrain plate. 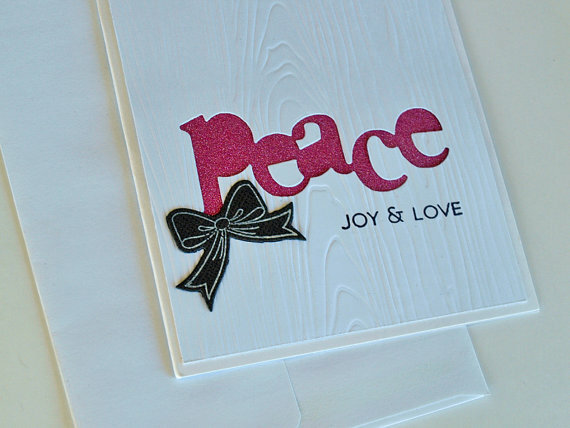 I cut a small panel of pink glitter paper to tuck behind, and then stamped a bow onto gray cardstock. 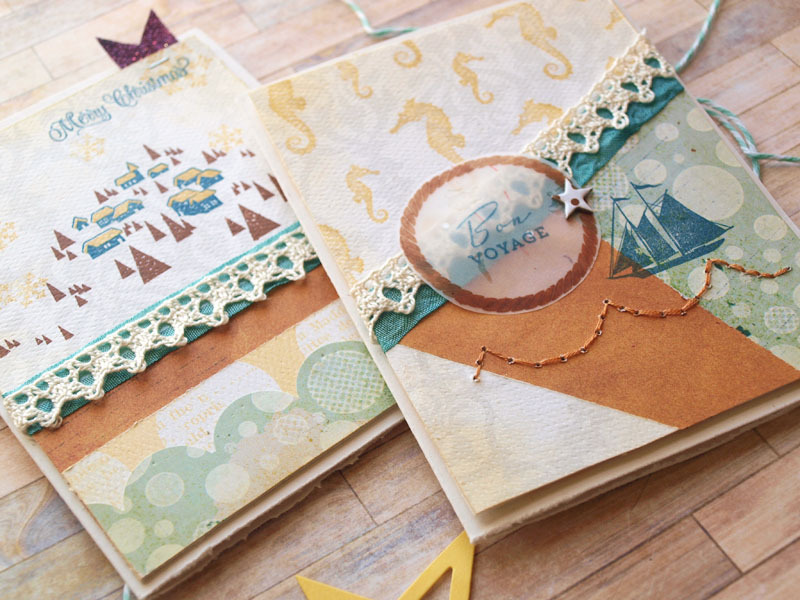 This is another version that would be super simple to create in multiples and is so pretty! You could even send them as thank you’s after Christmas. With the leftover die cut word, I was able to create another card for day 7. Rainbow colors are forever a favorite so why not use them at Christmas time too?! These colors are from the Colorbox Archival Dye line. Love these inks for the instant dry time and that they don’t react to moisture – perfect for preserving memories for years to come. A trick for stamping solid images like these stamps from PTI’s Watercolor Wonder is to put a foam mat underneath while stamping. Since figuring this out, I am 1000% more happy with the results of every stamped image. Such a simple thing but wow! – no more stamping frustration! 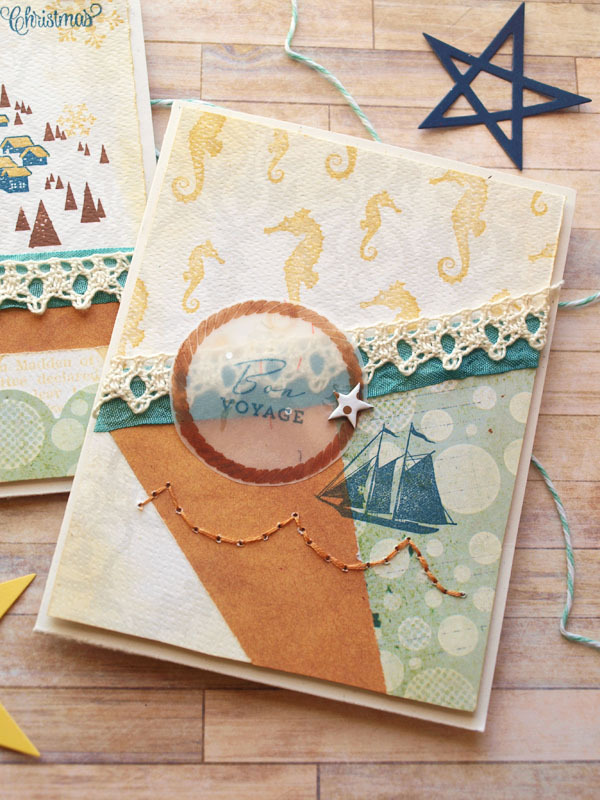 And just to note, all of the stamp sets and dies/embossing folders on both these cards are older releases from Papertrey Ink. Welcome to day 5’s card! Are you feeling the holiday spirit yet? The kids and I set up the tree tonight, drove through town looking at the lights and have been singing Christmas songs as often as possible. 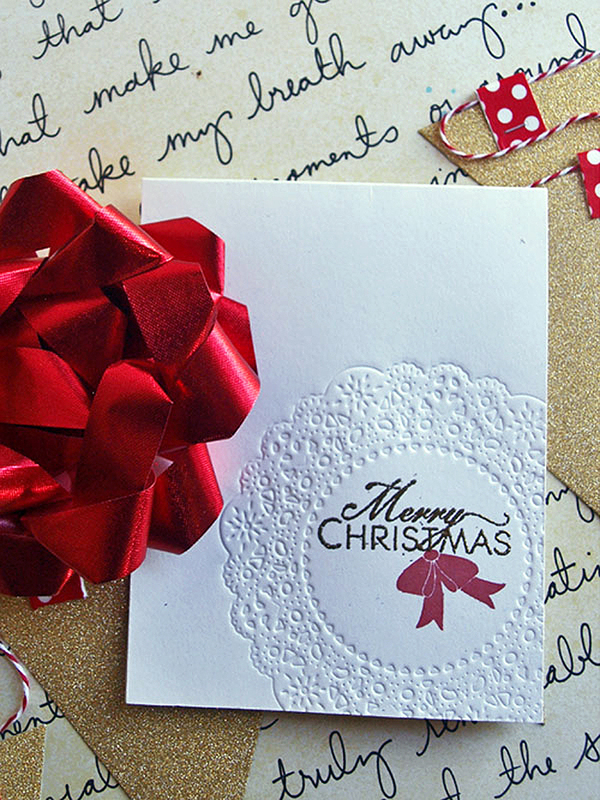 It seems like the older I get – or perhaps the older the kids get – the more I am falling in love with the Christmas season. We have 3 trees in the living room and am pretty sure one day there will be a tree and decorations in every room in the house. 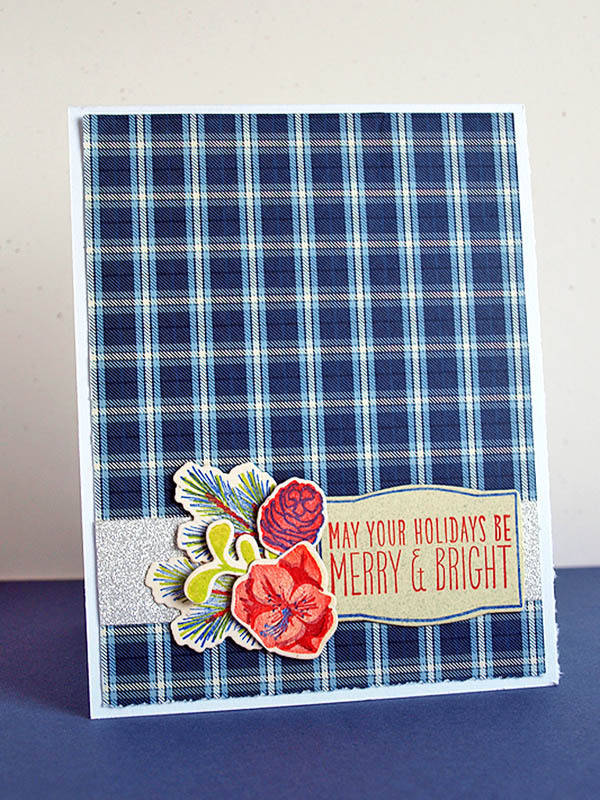 This card is a simple plaid number that would be easy to create in multiples. A single patterned paper for the background makes it quick (by the way, where ever did that baby put my good trimmer blade? Those raggedy edges are ridiculous!) but the cluster of stamped flowers and sparkly paper make it feel special. 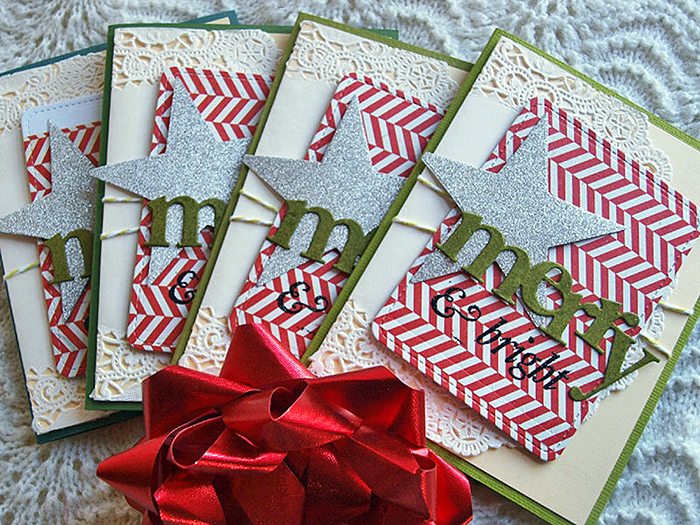 This set is Merry & Bright from WPlus9, one that’s been seeing a lot of ink lately. 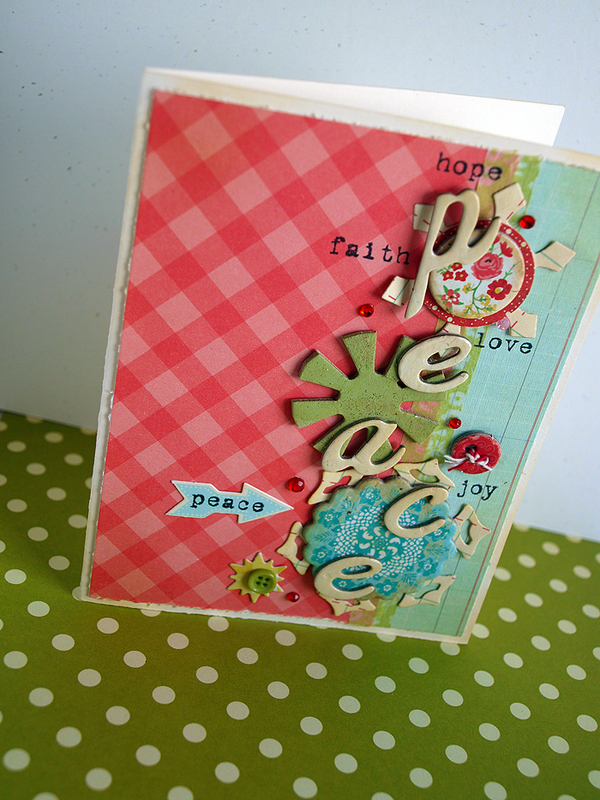 Speaking of ink, I had fun with just 3 colors using a Colorbox pigment Quetie – Party. Hi there! I have another non-traditional colors card to share with you for day 4! This one has actually been posted here before (last December? ), but I recently found it again and decided it’s one of my favorite cards ever. 🙂 Surely that’s worth 2 shares! 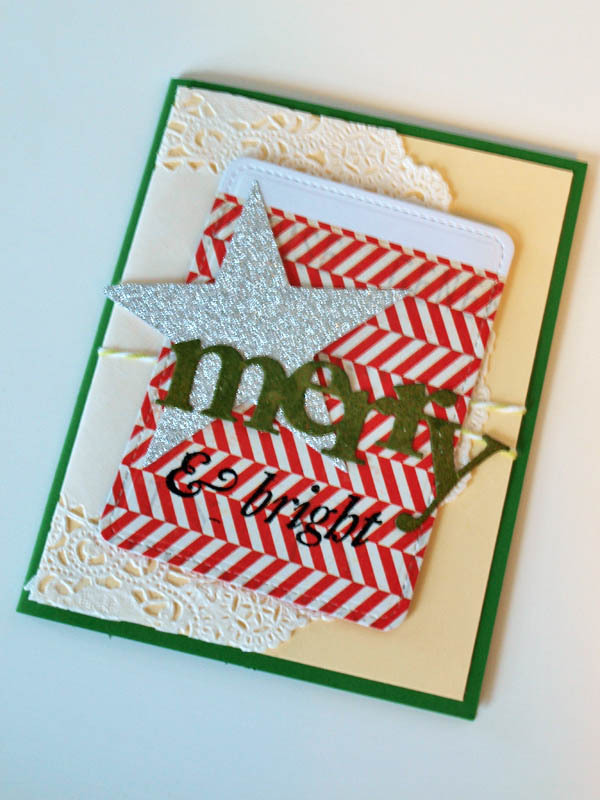 Not one to invest too much in holiday specific product other than stamps and dies, I like to dig around in my stash to see what can be used for another purpose. 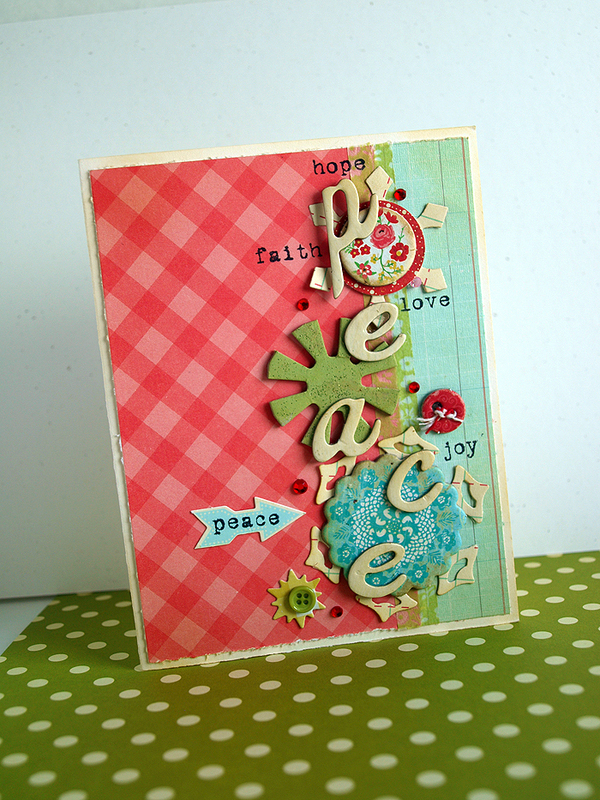 A few snowflakes and festive stamped words (set from Pink by Design) keep the theme in check and the rest is just trimmings. Well since I haven’t taken a photo of the prize box yet, I suppose I can tell you what’s in there: a Epson label printer with several cartridges of tape and ribbon, a Surfacez black inkpad from Colorbox, 3 stamp sets from Pink by Design, 4 magazines from Northridge publishing, a few Elle’s Studio goodies and a few more things that will fit into a large flat rate post box! Hooray! If you are interested leave a comment below and/or on the previous posts in this series, link up a project, like my FB page or anything else you can think of.